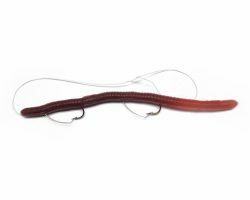 Bass can’t resist the winning combination of Color and Action of this 5 1/2″ worm. No peeling or fading. Each dot and strip is molded directly into the worm. Three No. 6 mustad hooks. 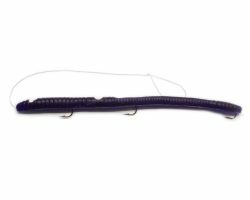 Hand tied-hand sewn 17lb test inside leader gives full hooking and holding power! Made in eight deadly color combinations. With built-in fish catching scent “Anise Plus”™. Even when the guys I’m fishing with come up short on their Texas rigs, whacky rigs, drop shots and what ever weird thing they use, I consistently catch bass on your striper and fire tail worms. They are my bait of choice. I can rely on them to catch fish. I started fishing at an early age at a reservoir behind my house. Like a lot of other people, I tried all the lures that are sold in big-name stores. From the plastic ones that wiggle back and forth, to the metal spinners. MAYBE, and I mean maybe, you might catch something after 100 times with these so-called lures. When I was a teenager, my dad & I tried Kelly Worms after a recommendation from a local store owner. These were the best! They come scented and their spin action is awesome! We tried the scented worms that come in the ziplock bags with no hooks. They smell like they would attract fish, however, why should we spend the time to struggle and put hooks in when they probably won’t work?? 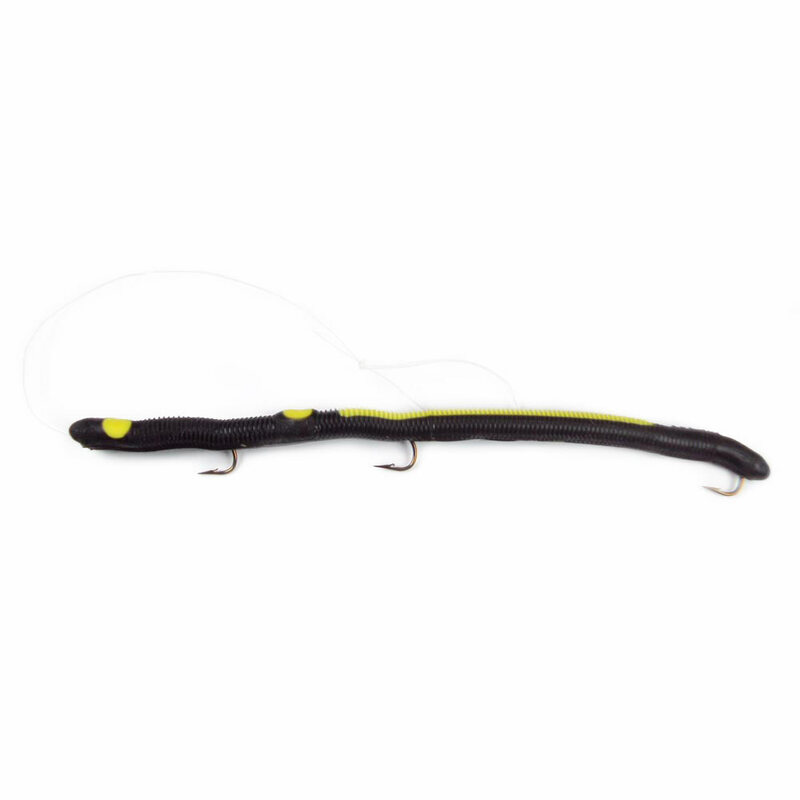 Kelly Worms come with 3 hooks, most importantly, one at the very end. From my experience, fish tend to hit the end of the lure and if there’s no hook, you’re not catching anything. For whatever reason, I’ve had a lot of luck with the Purple and White Striper. I’m in my 30s now, and I still use Kelly Worms because they’re the best! I can’t even count how many bass I’ve caught using the Stripers and Firetails. I’ve caught anywhere from trophy size to baby bass from these. Whether it’s good or bad, I’ve lost at least 4 of these Worms due to the fact that the line snapped. I’d like to think that it’s because the bass were too big to reel in. After all of these years, I wouldn’t use anything else. Someone recommended these to me and I’m recommending them to everyone who enjoys that huge yank. I’ve never used a better lure . It’s almost all I use. The purple and white striper is my favorite and works the best. I’ve won tournaments with it ! I turned my Dad on to it and that’s ALL he ever used . His eyes were bad and he called it blue and white but it was purple .haha . He died 5 years ago and I put one in his casket for the funeral and buried him with his favorite lure . Miss my Dad and seeing him smile catching fish with that blue/purple striped worm ! 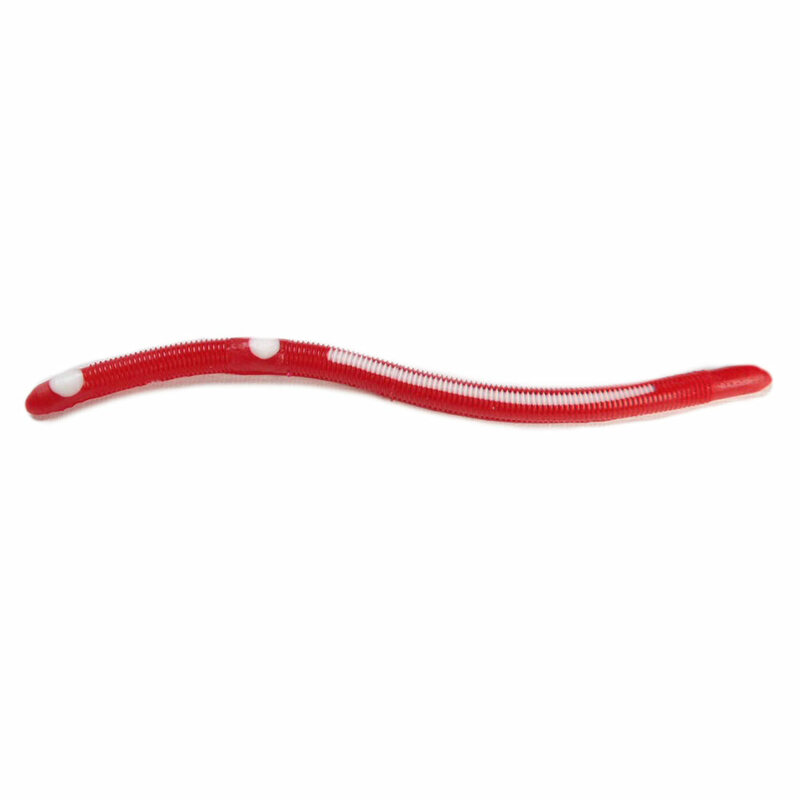 Love using these worms. 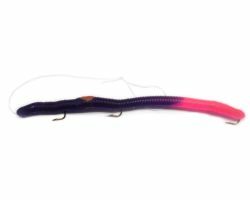 I prefer to use the Purple Striper the most, but I’ve caught fish with the black, red and yellow ones too. I can believe I even caught a channel cat with the purple one as well. Catching 8 – 10 inch bluegills as well. Highly recommend these worms! Awesome baits! Been using them for years with nothing but success! 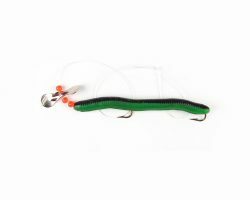 The purple and white striper and the weedless bass crawler are my personal favorites. Sometimes I will go bass fishing and not even take anything else. The best bait in my box. I have caught a lot of bass ranging from 3-10lb. Large catfish over 30″. Even blue gill will jump on this bait. Purple and white is my favorite and also what was used to catch the bass in my testimonial. All depending on weather I will switch to chartreuse. You should have both in your tackle box. I took a Michigan fisherman friend bank fishing on our 40 acre lake in Tennessee. He was astounded at the number of bass we caught in a 1 hour period. We were pulling in a large mouth with every cast for over a 20 minute period..some were trophy and all were caught using black and white stripers. He finally pulled in 2 bass on 1 bait and he does not brag as much about Michigan fishing! 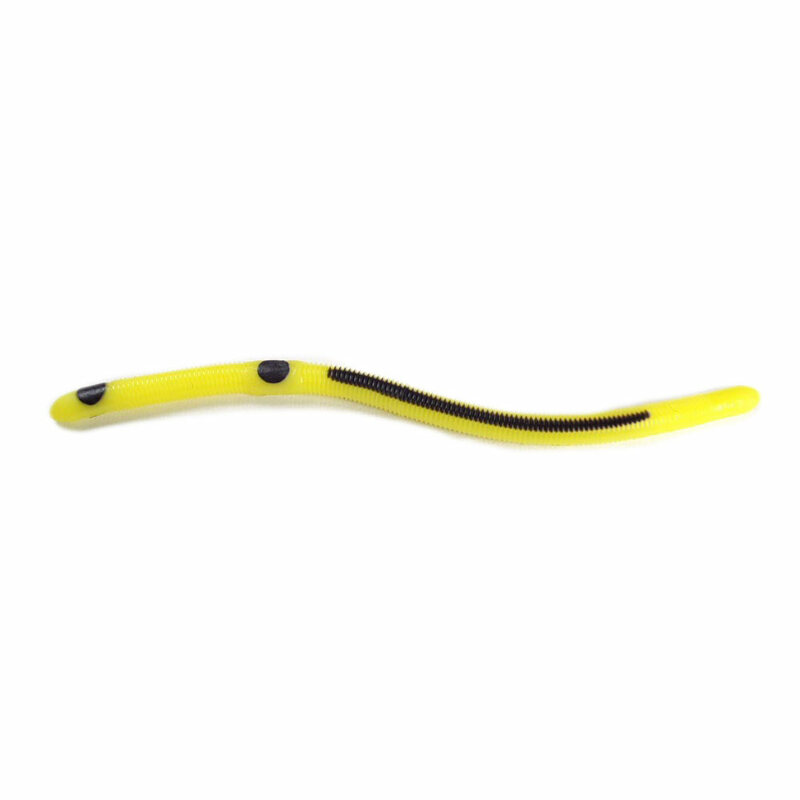 The Black and Yellow worm is Awesome! I caught 8, that’s right 8 Large Mouth Bass in a span of 3 hours using this bait. Get this one, and you won’t go wrong. My family started using the black and yellow Striper and I have personally caught a ten pound bass. They are the top lure in my box and I would use nothing but the striper. We recommend them to everyone! We buy a couple dozen a year because we catch so many fish. GO BUY THEM! I have fished with Kelly ‘stripers’ for years. They are a fantastic lure. Yesterday, 26 June 2015, an 8 year old boy named Chase was fishing in our farm pond. He caught a number of bluegill using worms. To be different, I tied on for him, on his Zebco 33, a black and yellow ‘striper’. On his third cast, he caught the first largemouth bass he has ever caught!! It was a 10 inch ‘bank runner’, but to that boy it was a 10 pounder! His cousin took a fine picture, which I hope to submit to you. Thank you so much for the priceless moment of a young boy’s life. Rich Gurka, White County, Illinois. The purple and white striper is the BEST bass lure I have ever used. I have caught more big bass in one season with this lure then every other lure I have combined. The bass here in Maine love them! HANDS DOWN THE BEST BASS FISHING LURE I EVER USED. ITS CRAZY GOOD. MOST FISH I EVER CAUGHT IN ONE NIGHT WAS WITH THESE. IF I SAID HOW MANY YOU WOULDNT BELIEVE IT. THANK GOD I HAD A WITNESS. AND HE’D SAY THE SAME THING. BLACK FIRETAIL. THOSE ARE ALL YOU WILL NEED!!!!!!! i have caught more fish off the purple and yellow striper then any other lure I’ve ever used. Bought one in ontario Canada about 5 years ago and haven’t used anything else since. Fished from Canada all the way down the east coast to Florida and caught fish all the way down. excellent worm to use. Thank You Nick. They really work don’t they? haha Thanks again! Only thing I’ve ever caught bass on.first cast and they kept hitting throughout the day when they weren’t hitting on anything else.I use the purples and white with a nice slow rolling jig action. Purple and white. When I start to run low on these I feel a certain sadness come over me. Seriously, when I’m not fishing with this lure and using another bait, I feel like I’m missing the fish. 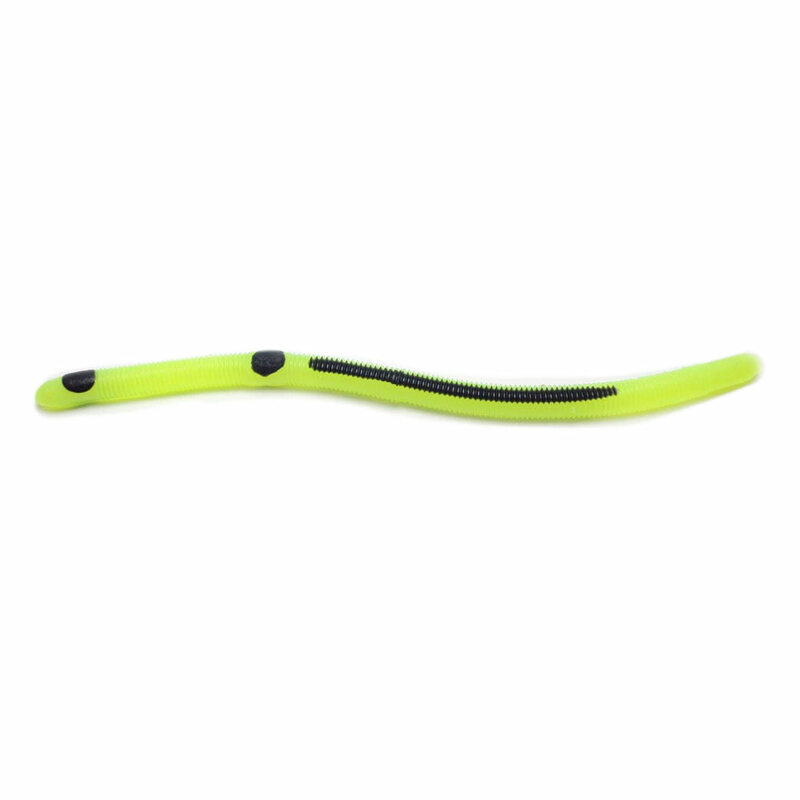 Best action, best worm on the market. From Southern Mississippi, Don’t used anything but KELLY’S BASS WORMS!!! Excellent… Mostly use purple/white striper and have caught a lot of bass. Keepem’ coming. All the way from vermont these are the best. I use these all the time, I have tons of other tackle for bass but nothing touches these. Thank you! Someone at the tackle shop recommended this lure. I am so glad they did. 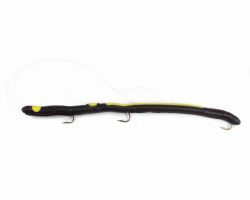 I catch bass and northern pike on the black/yellow one. Love it! we caught alot of small mouth bass in the 1 to 2 pound range with the black and white worm fishing in NY. 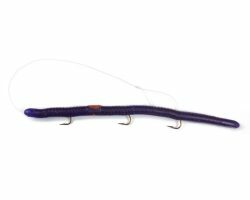 The purple and white Striper (we call ’em Two Dots and a Dash) are flat out the best bass bait we have used in the last 20+ years. Great for walleye, too! Started using the yellow and black worm on the random recomendation of a store owner. Holy Crap. This worm is awesome. Fishing out of a small pond not known for giving up its big bass, and they wouldnt stop hitting that worm. BUY THESE WORMS. They work. Ive fished all my life and started using these after a friend reccomended them. My father and I vouch that we have NEVER not caught a fish with these worms. 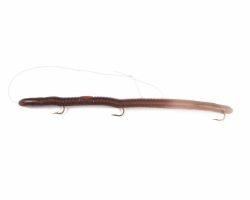 When using the purple/white worm, we have caught more fish than with all our over baits combined over the years. Definitely pick these up if your looking to fill your cooler for the summer with fresh fish. YOUR TRUSTED SOURCE FOR KELLY'S BASS WORMS! Copyright © 2019 Bass Tackle USA. All rights reserved. All pictures and descriptions may not be used without prior written consent! Website developed by Gradient Graphics.